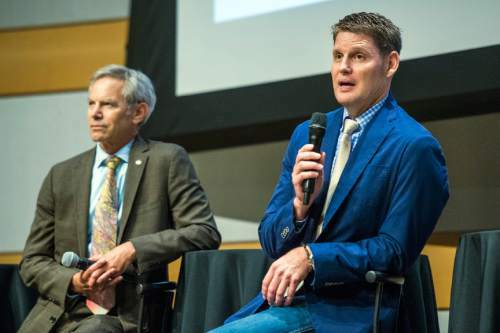 Chris Detrick | The Salt Lake Tribune Salt Lake Tribune Editor and Publisher Terry Orme speaks during a Salt Lake City Mayoral Debate at Salt Lake City's Main Library Thursday July 16, 2015. 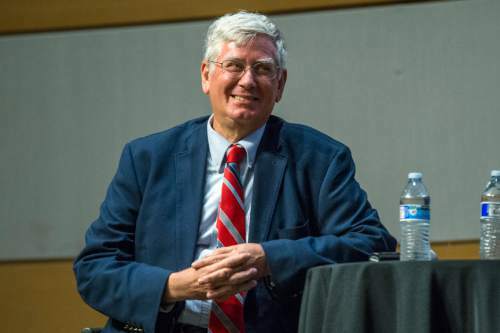 Chris Detrick | The Salt Lake Tribune Community activist George Chapman a Salt Lake City Mayoral Debate at Salt Lake City's Main Library Thursday July 16, 2015. 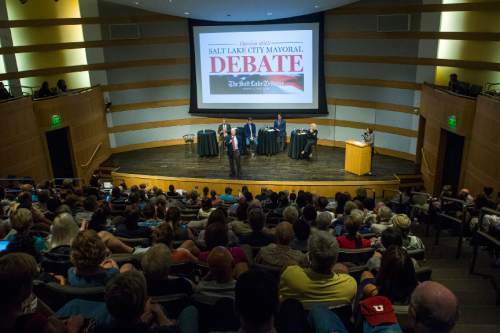 Chris Detrick | The Salt Lake Tribune Businessman Dave Robinson speaks during a Salt Lake City Mayoral Debate at Salt Lake City's Main Library Thursday July 16, 2015. Chris Detrick | The Salt Lake Tribune Businessman Dave Robinson speaks during a Salt Lake City Mayoral Debate at Salt Lake City's Main Library Thursday July 16, 2015. Chris Detrick | The Salt Lake Tribune Former state legislator Jackie Biskupski speaks during a Salt Lake City Mayoral Debate at Salt Lake City's Main Library Thursday July 16, 2015. The other participants are Salt Lake City Mayor Ralph Becker, community activist George Chapman, City Council Chairman Luke Garrott and businessman Dave Robinson. 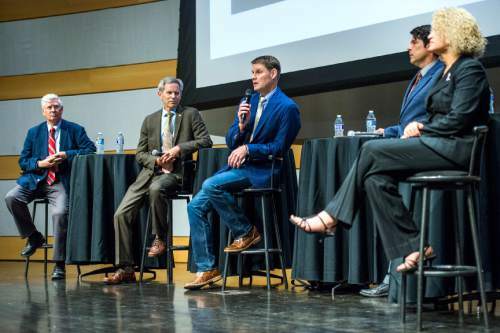 Chris Detrick | The Salt Lake Tribune City Council Chairman Luke Garrott speaks during a Salt Lake City Mayoral Debate at Salt Lake City's Main Library Thursday July 16, 2015. The other participants are Salt Lake City Mayor Ralph Becker, former state legislator Jackie Biskupski, community activist George Chapman, and businessman Dave Robinson. 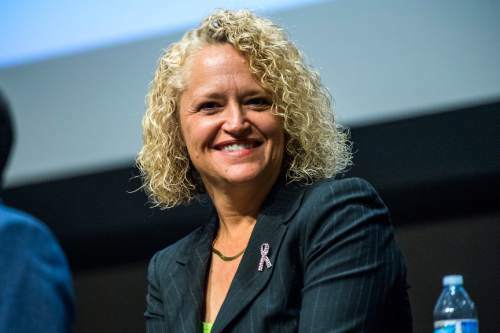 Chris Detrick | The Salt Lake Tribune Former state legislator Jackie Biskupski speaks during a Salt Lake City Mayoral Debate at Salt Lake City's Main Library Thursday July 16, 2015. 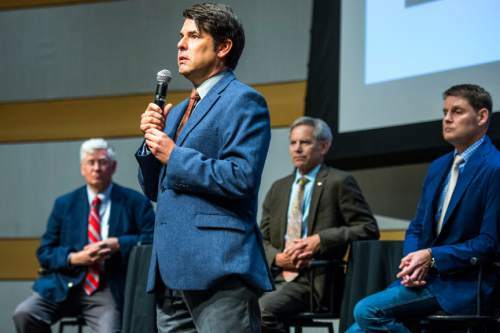 The other participants are Salt Lake City Mayor Ralph Becker, community activist George Chapman, City Council Chairman Luke Garrott and businessman Dave Robinson. Chris Detrick | The Salt Lake Tribune Former state legislator Jackie Biskupski speaks during a Salt Lake City Mayoral Debate at Salt Lake City's Main Library Thursday July 16, 2015. The other participants are Salt Lake City Mayor Ralph Becker, community activist George Chapman, City Council Chairman Luke Garrott and businessman Dave Robinson. 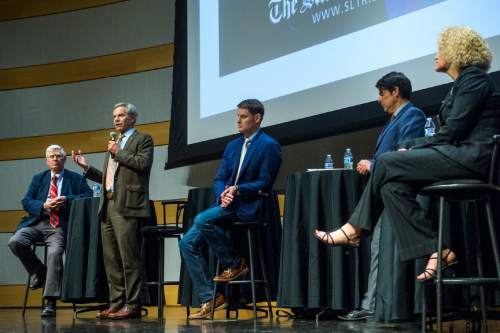 Chris Detrick | The Salt Lake Tribune Salt Lake City Mayor Ralph Becker speaks during a Salt Lake City Mayoral Debate at Salt Lake City's Main Library Thursday July 16, 2015. The other participants are former state legislator Jackie Biskupski, community activist George Chapman, City Council Chairman Luke Garrott and businessman Dave Robinson. 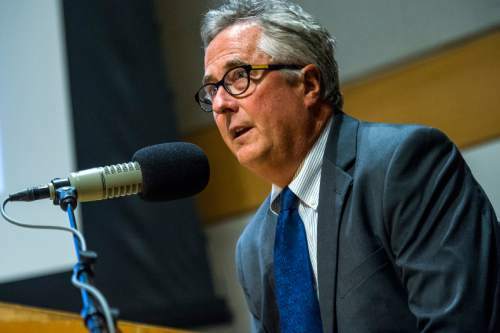 Chris Detrick | The Salt Lake Tribune Community activist George Chapman speaks a Salt Lake City Mayoral Debate at Salt Lake City's Main Library Thursday July 16, 2015. 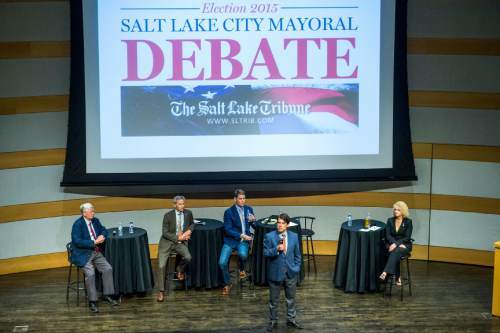 Chris Detrick | The Salt Lake Tribune City Council Chairman Luke Garrott speaks during a Salt Lake City Mayoral Debate at Salt Lake City's Main Library Thursday July 16, 2015. The other participants are Salt Lake City Mayor Ralph Becker, former state legislator Jackie Biskupski, community activist George Chapman, and businessman Dave Robinson. The mail-in polls are open and over the next four weeks, capital residents will cast ballots in a primary election for mayor. 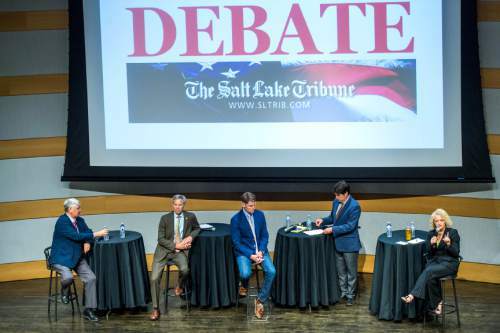 The five hopefuls vying for Salt Lake City&apos;s top post squared off in a public debate at Salt Lake&apos;s Main Library. 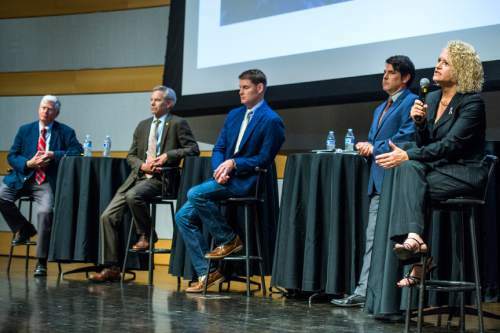 Mayoral candidates Ralph Becker, Jackie Biskupski, Luke Garrott, Dave Robinson and George Chapman answered questions about public safety issues, transportation, the city&apos;s homeless problems and more. Watch the debate above, and join in with your thoughts here or on Twitter, using hashtag #tribdebate.